Whether you’re flying United, Southwest, or a private plane, The Woodlands is just a hop, skip and a jump from whatever tarmac you’re on. Want to make sure you make the right choice when you book your flight? Check out what’s close to us before booking your flight and planning the rest of your trip! George Bush Intercontinental Airport (IAH) is about 30 miles southeast of The Woodlands and the most convenient air travel choice if you’re flying a major airline. Make sure that once you get into your cab or taxi, you ask them to take the Hardy Toll Road for the quickest route to The Woodlands from the airport. Then, sit back and enjoy watching the scenery transform from city to a lush forest. William P. Hobby Airport (Hobby, HOU) is another option 50 miles south of The Woodlands. If you’re a devoted Southwest flier, you’ll be welcomed into their Houston hub with open arms. Commute time may change based on morning and afternoon rush hours, but once you get to I-45, it’s a straight shot to The Woodlands from Houston. 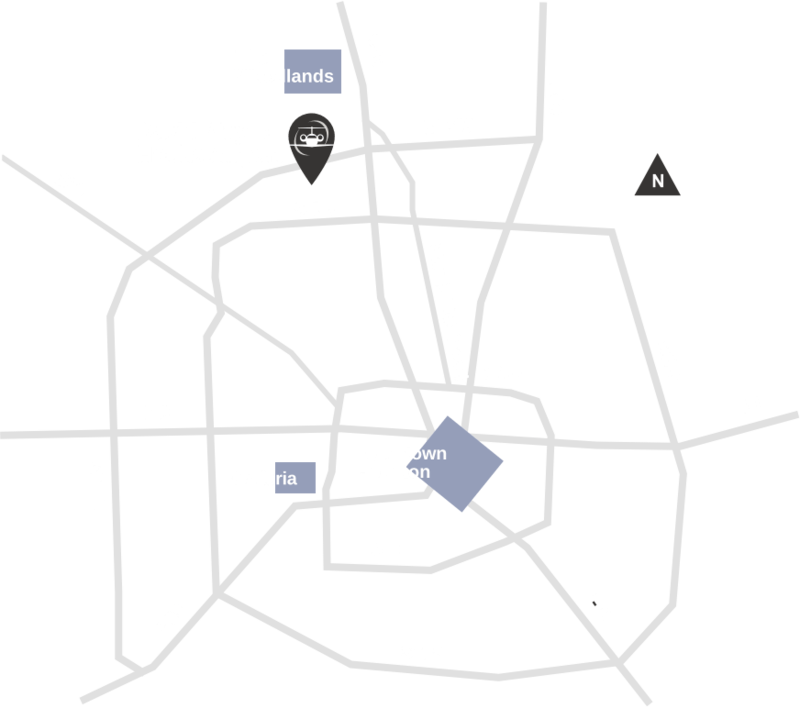 David Wayne Hooks Aiport (KDWH) Gill Aviation, a respected name in FBO services at David Wayne Hooks Airport (KDWH), is located in Northwest Houston, 20 minutes from The Woodlands with close proximity to Downtown and The Galleria. A great option if you’re flying yourself or privately, David Wayne Hooks Airport provides pilot lounges and sleeping rooms as well as 24-hour high-touch FBO services and a state-of-the-art Corporate Aviation Terminal. Conroe-North Houston Regional Airport (KCXO) is an all-weather airport, hosts over 300 aircraft, 240 hangars, a control tower, two FBOs, a general aviation terminal building, a U.S. Army Reserve Aviation unit and more than 20 businesses and several government agencies. This FBO is a 25 minute drive from The Woodlands and is also an International airport with a U.S. Customs station for those arriving from outside the United States. If you’re interested in flying in here, make sure you see if Galaxy FBO is right for you! To check out more information about getting to The Woodlands, click here.